Six street overhauls that converted asphalt for cars into places for walking, biking, or transit faced off in Streetsblog’s annual Best Urban Street Transformation contest. The people have spoken and we have a winner. For Halifax, the key to making these two downtown commercial streets work better for people was removing the curbs. Argyle and Grafton were rebuilt as “shared spaces” that allow pedestrians, cyclists, and motorists to mix while prioritizing people on foot. The arrangement uses visual cues to get drivers to slow down and proceed at a walking pace. The net effect is to give pedestrians free rein. On Grafton and Argyle, people can cross the street wherever they choose. While drivers are still allowed, parking was eliminated to make more room for foot traffic, street furniture, and event space. 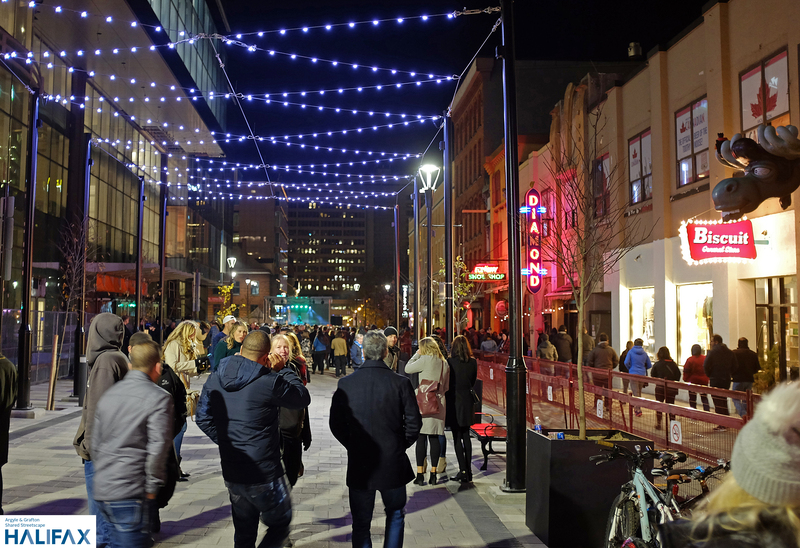 Streetsblog readers (and Haligonians who dropped by to participate in our poll) were captivated, giving Argyle and Grafton more than half of the vote. The Streetsblog editors were partial to the transit improvements on Albuquerque’s Central Avenue and Toronto’s King Street. 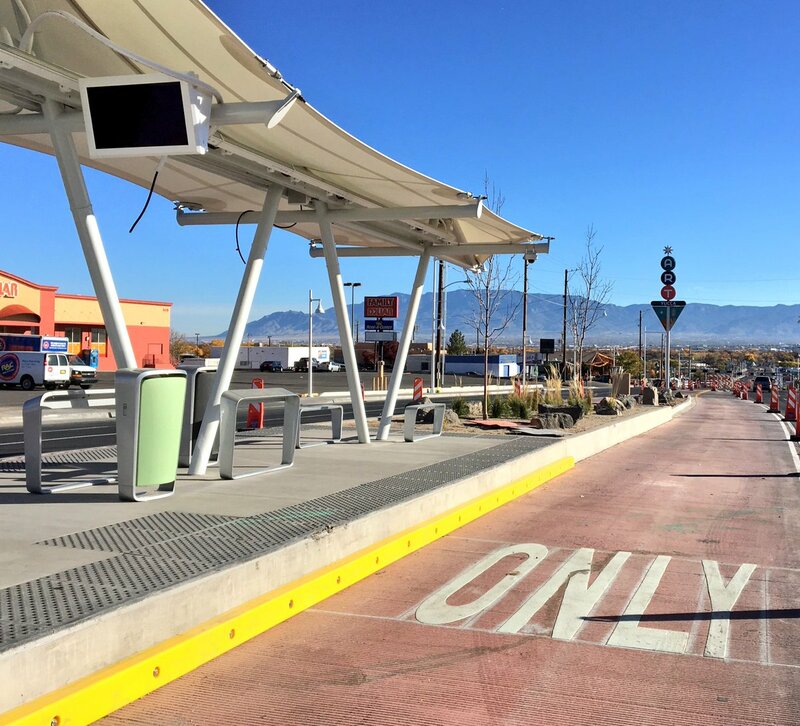 In the end we had to go with Albuquerque, where the new center-running busway is a true paradigm shift for the city. Central Avenue is Albuquerque’s main drag. While it’s part of the historic Route 66, until this year it was a generic high-speed arterial roadway — the kind that turn many American cities into dangerous carscapes. That changed in 2017 thanks to the leadership of Mayor Richard Berry. Albuquerque also made a point of adjusting zoning rules to make the surrounding area more walkable and transit-friendly. The city increased allowable density and reduce parking requirements along the corridor. The new, frequent-running bus service on Central Avenue begins early in 2018. It’s a project to keep an eye on, not only because it signals a new direction for streets and transportation policy in Albuquerque, but because it could become a model for transforming car-centric main streets in other mid-sized American cities. Good for you to make your own choice and not validate the ballot-box stuffing done by the Halifax urbanists who are trying to remake the city in their own distorted image. And the other cities didn’t stuff their ballot boxes too? Evidently not to this extent. The poll was turned into a bit of a sham. You are wrong on so many counts it would take a book to refute them all. You seem like a very bitter person. Perhaps a home on Yonge Street would soothe you. Did your town to a great road diet? Nominate it to be named the best of the year.